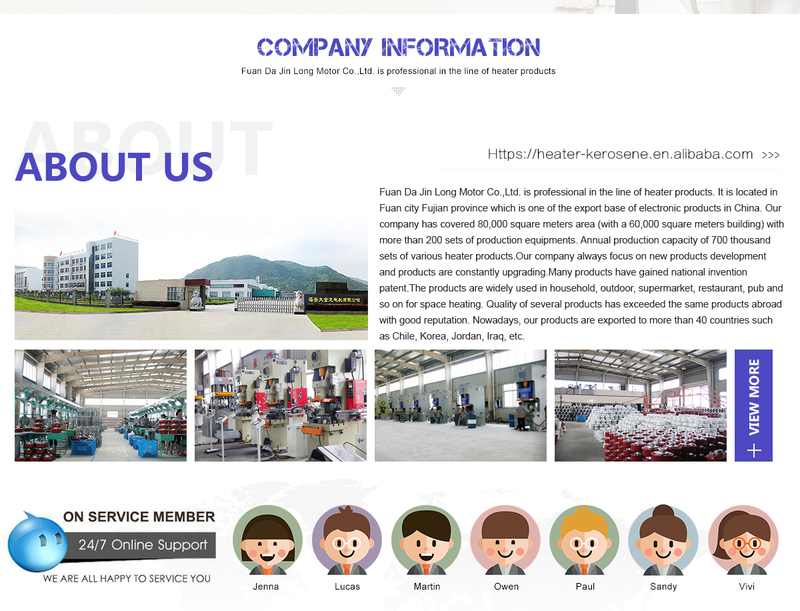 Fuan Da Jin Long Motor Co., Ltd. is an integrated joint-stock company specializing in designing, scientific research, manufacturing and sale heater products. Our company is located in Fujian province which is one of the export bases of electronic products in China. Our company has covered 40,000 square meters of area (with a 28,000 square meter building). We have 60 billion RMB registered capital and more than 500 sets of production equipment. Our annual production capacity is 500 thousand sets of kerosene heaters. Our current main products are far infrared energy conservation and environmental protection kerosene heaters (gas). Our company always focuses on new product development and constantly upgrades products. They become more and more perfect and leading in markets both at home and aboard. Many our products have gained national invention patents and own 5 special export trademarks. Our products are widely used for heating in household, outdoor, supermarket, restaurant, pub and other places. 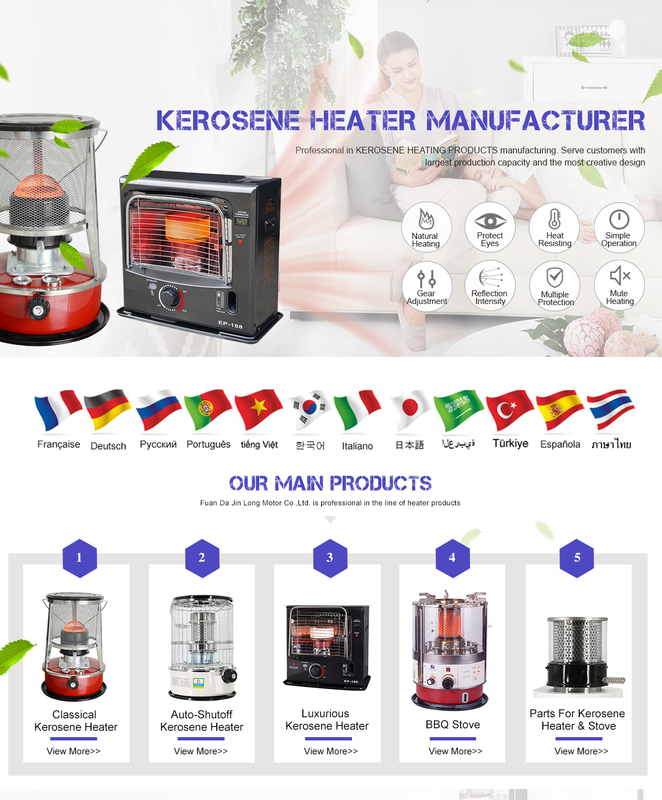 Several properties of our heater have exceeded the same products from abroad and have a good reputation. Nowadays, our products are exported to more than 30 countries and regions including the Middle East, Africa and Europe. They are deeply favored by customers. We have established a perfect quality control system and are equipped with advanced facilities so that we can ensure high quality products and secure manufacturing process. We adhere to the policy of "quality to survive and quality seek development." We wish to be your faithful friend with our sincerity and strength. Our goal is to become the largest and internationally known professional manufacturer of kerosene and gas heaters.